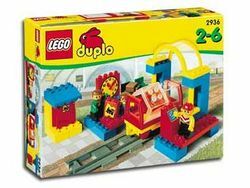 2936 Station is a DUPLO Trains set released in 2000. The set includes 43 pieces, building a train station with an arch, train track, and three DUPLO Figures. This page was last edited on 9 January 2016, at 07:08.